What I just read: Broken by Daniel Clay. Daniel has offered to do a Q&A with me which I'd like to time with the U.K. release of the film based on his book! The book was gripping and darkly funny. I'm really looking forward to seeing this one when it hits the states. What I'm going to read next: The Fault in Our Stars by John Green or maybe The Age of Miracles from Karen Thompson Walker. They've both been on my list for ages and I need to get crackin'. Especially since both are headed for the big screen. Irresistable! 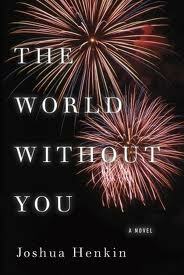 My words for Wondrous Words Wednesday at Bermuda Onion come from The World Without You, the book I'm reading now. minyan: "A couple of people wearing yarmulkes walk down the aisle looking for men to help make a minyan, and Amram gets up and joins them." clarion: ..."she hears her name being called out 'Lily! Lily!' like some clarion call from years ago." I've heard this word dozens of times and probably used it myself knowing it had something to do with a trumpet-like sound. The definition refines my understanding. clear and shrill: the clarion call of a battle trumpet. an ancient trumpet with a curved shape. the sound of this instrument. I hope you enjoy The Fault in Our Stars - I loved it! Definitely my favourite John Green book. 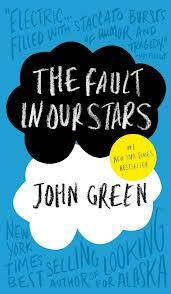 I just bought The Fault in Our Stars this week and can't wait to read it. I've heard clarion and knew it had something to do with sound. I hope you enjoy The Fault In Our Stars. I aim to read that book too this month. How fantastic that you have authors reading your blog and offering to do Q&As! That's fabulous. 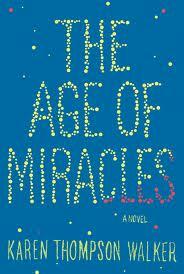 Both The Fault in Our Stars and The Age of Miracles are high on my radar- sadly I haven't read either of them as yet. They both sound amazing. Clarion call was a familiar phrase but I've never bothered to look it up- I'm glad you bothered to. Thanks. I just about fell out of my chair when he contacted me! I'm quite thrilled. A World Without You - was so good. I agree with your comment about how he knows women it took me a long time to get my head around that it was written by a man. I actually double checked the photo on the book jacket. I'm not sure if I didn't wonder if "Joshua" was perhaps a mis-spelled woman's name. The Age of Miracles is on my wishlist. I'm intereted in Broken. Happy reading. Knew clarion but not the other word. Ha! I thought the first word, minyan, was some like "minion" as in, "my little minions will help me execute my plot." Thanks for clearing THAT up. And, I, like you, had the vague notion about clarion. Now, I'm educated. Thanks. May I recommend The Fault in Our Stars? You must read it. Bring tissues. Oh goody Julia; I relish a good weep. I had no idea those two books were headed for the screen. I really liked both. This list of yours today has really made me want to keep up with your blog. Nice diversity and I think books that really are in line with what I like. Oh I need to read the John Green book before it comes out as a movie too! Me too ... Such a great meme! knew clarion as have read it before..
all the books in your list are books i have been meaning to read.. I always plan to join in for Wondrous Words, but I forget! Maybe next week. I need to write a post on the Wondrous Word section of my journal.